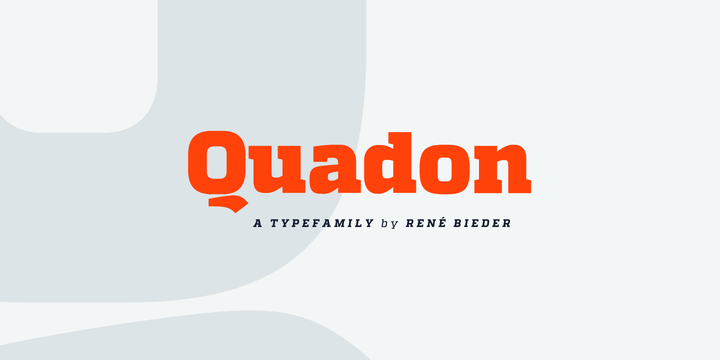 Quadon is a slab-serif typeface created & published by Rene Bieder. Quadon family includes 18 modern, clear and infinitely flexible fonts. Also it has a wide range of typographic features and alternative glyphs. Enjoy! A font description published on Saturday, March 16th, 2013 in Fonts, Rene Bieder by Alexandra that has 10,733 views.